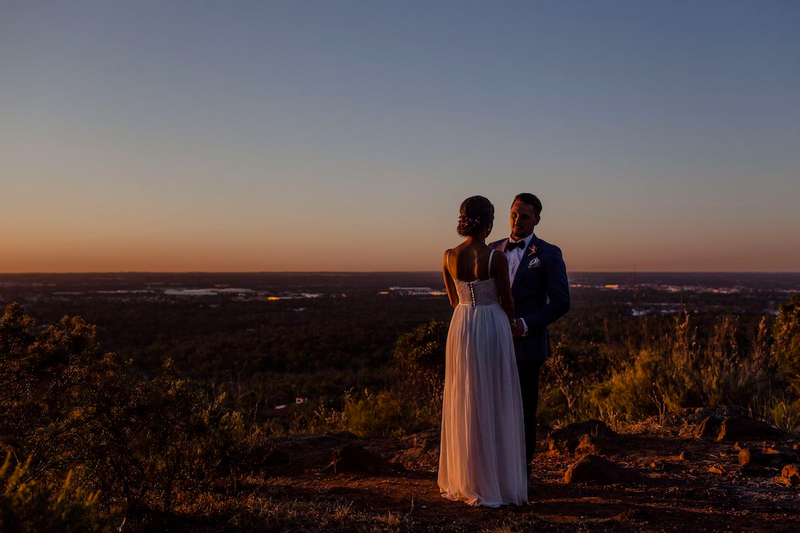 A Perth hills wedding always pulls on my heart strings!! 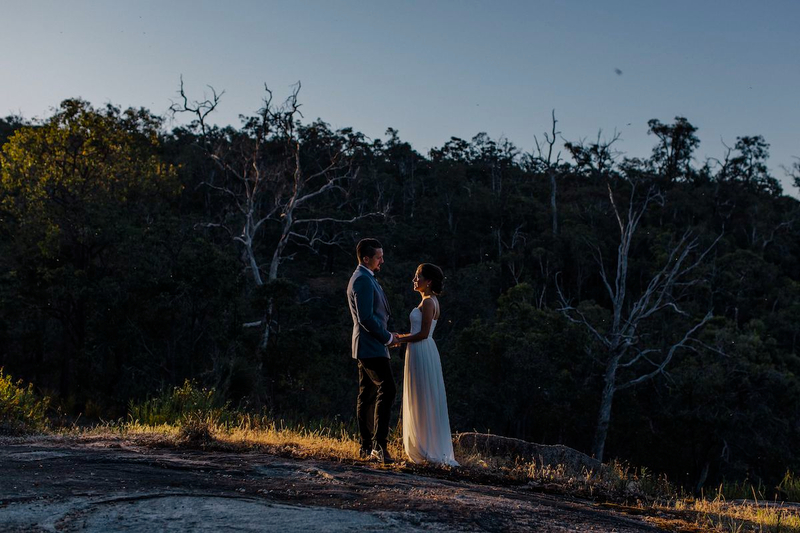 From the moment I met Asha, I knew she was going to be a joy to work with. 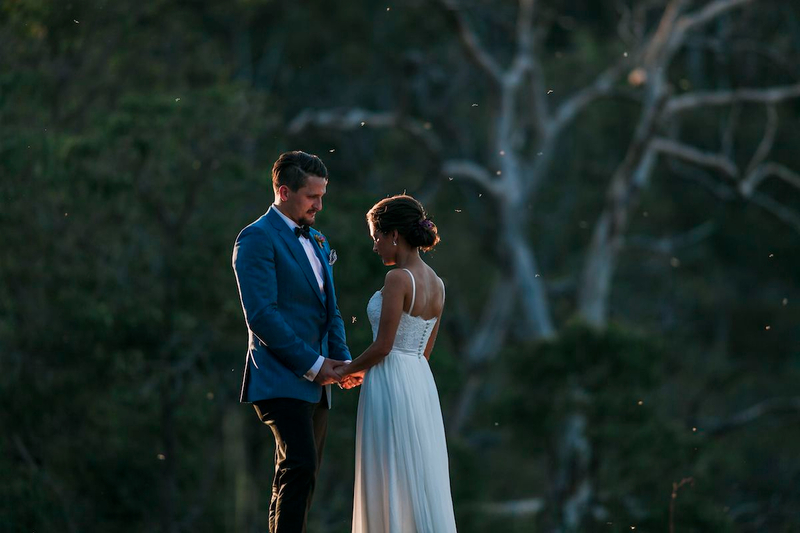 She was planning a backyard wedding just around the corner from our studio. 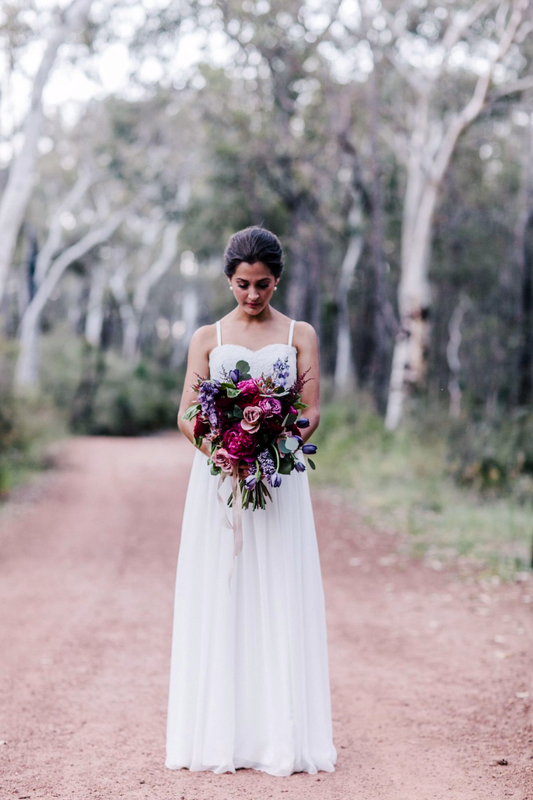 Asha wanted a wedding dress that felt comfortable and feminine, not heavy and restrictive like the gowns she had previously tried on. 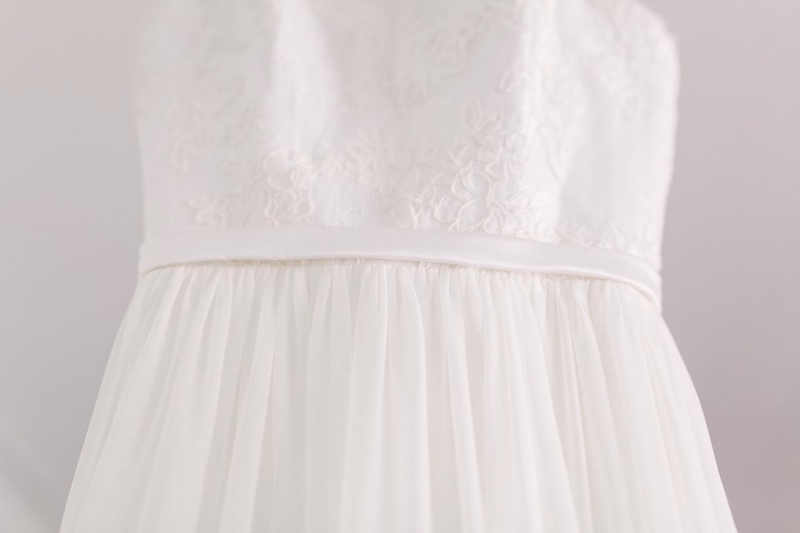 I suggested a luxurious silk skirt with a soft silk georgette overlay, we then created a handmade lace bodice which was the perfect feminine touch. 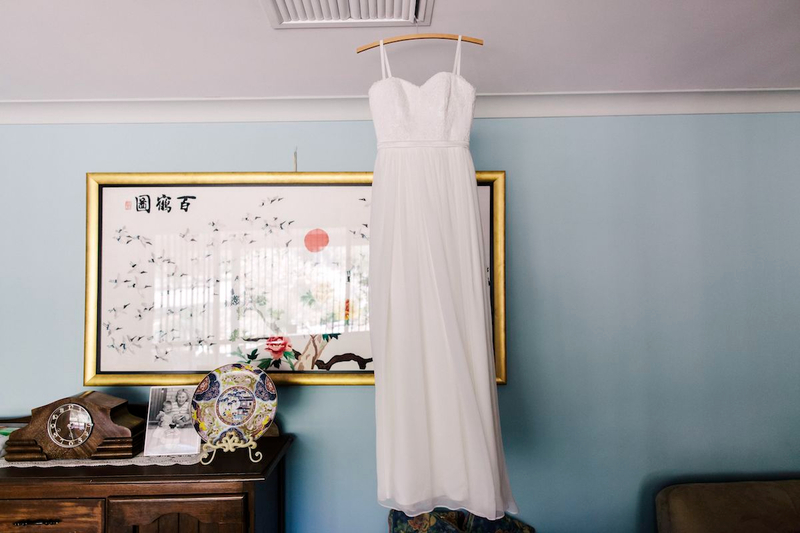 The beauty of silk is that is super easy to wear and will fare well on a warm day (Asha’s wedding day ended up being a scorcher!). 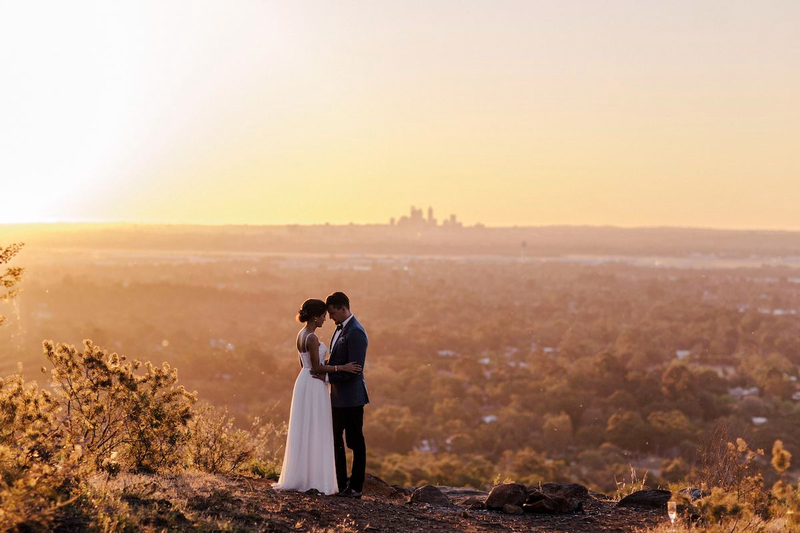 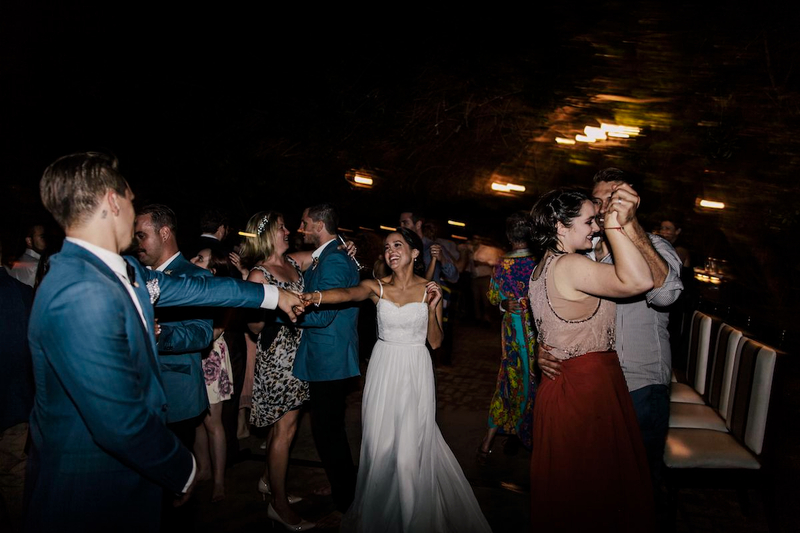 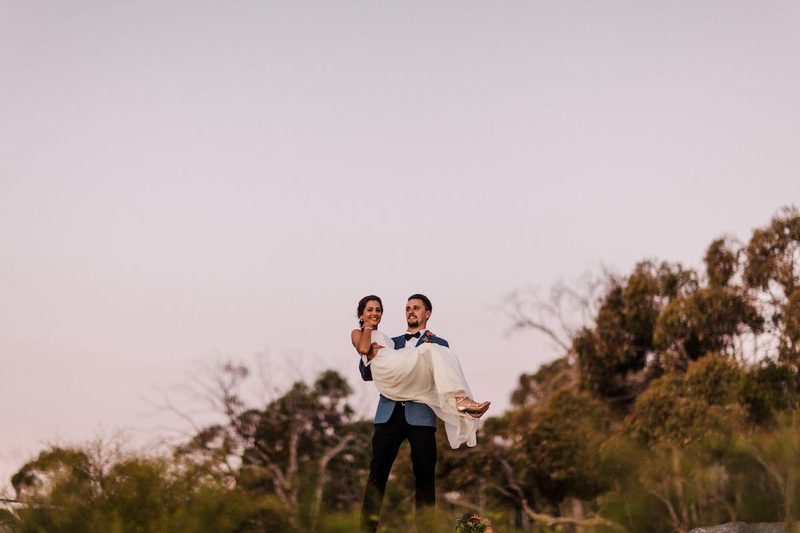 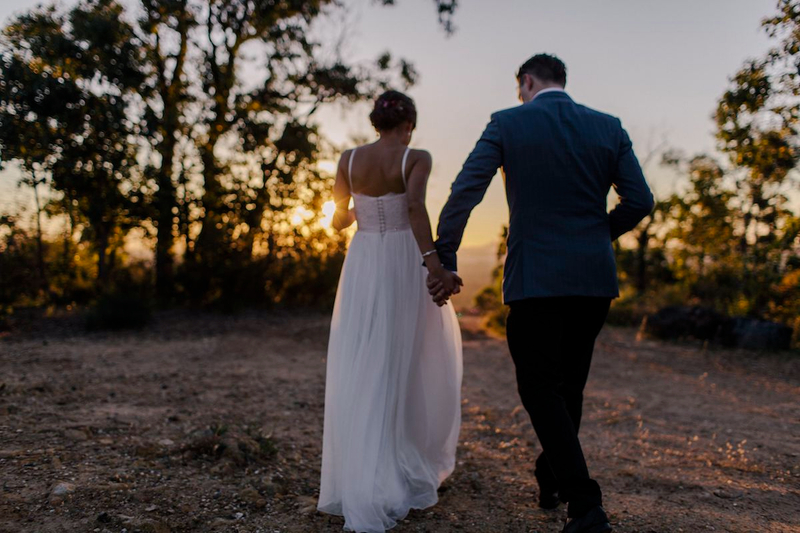 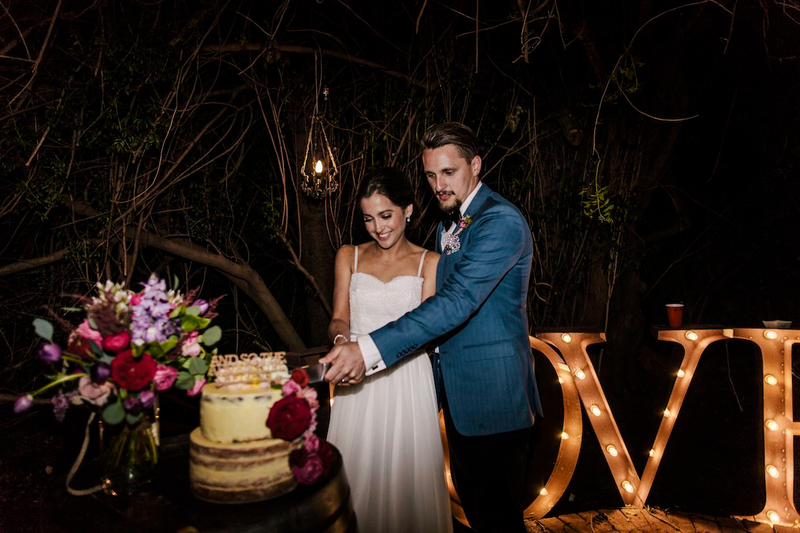 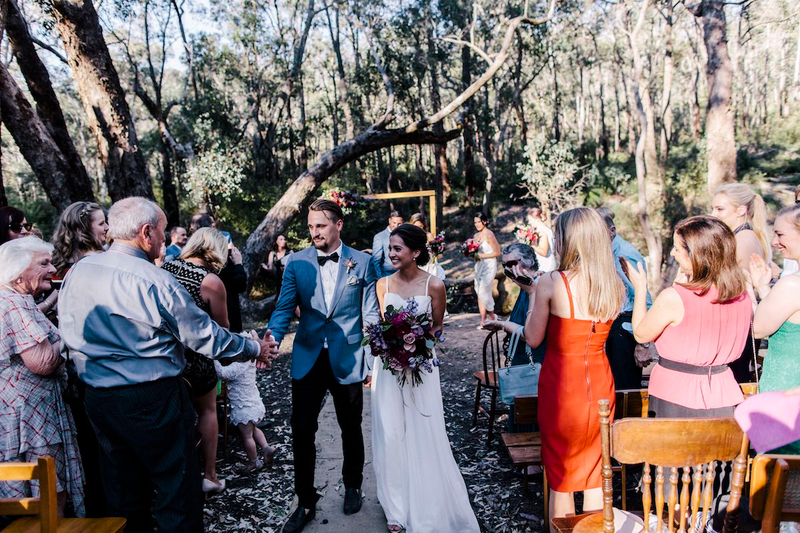 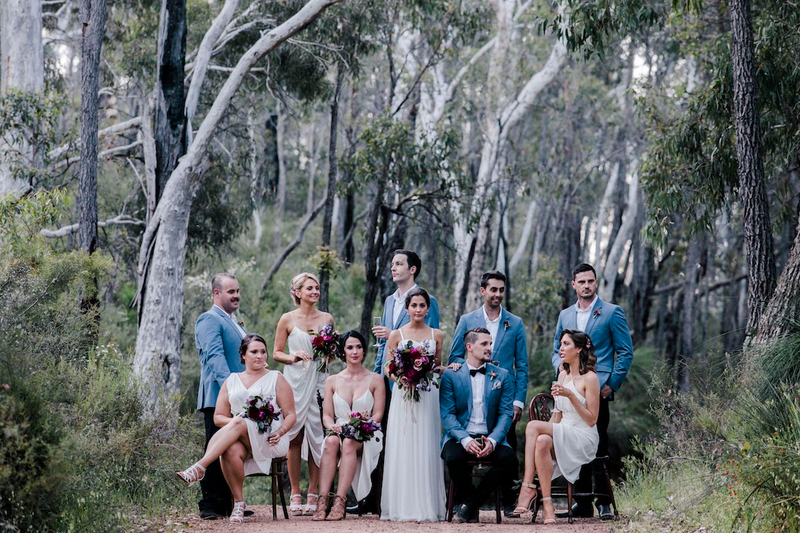 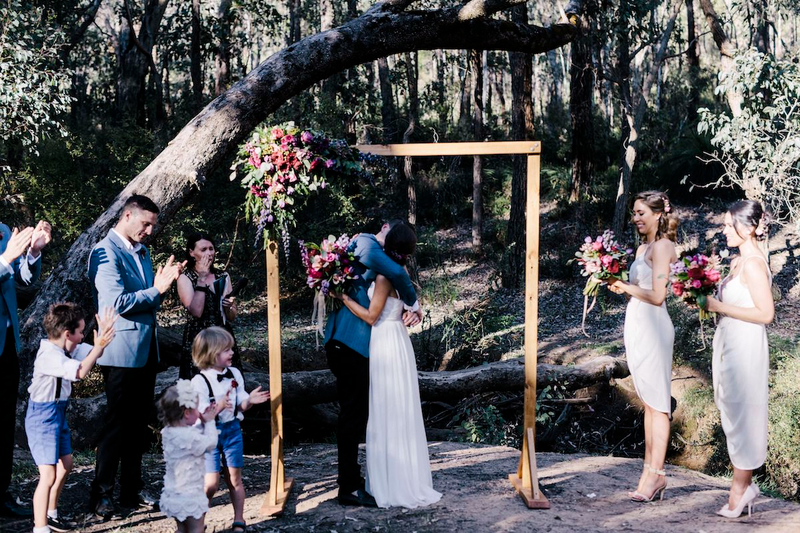 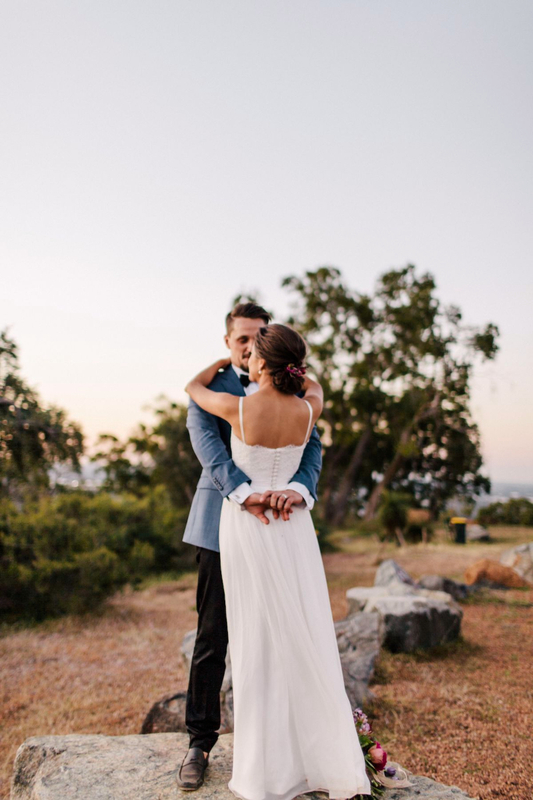 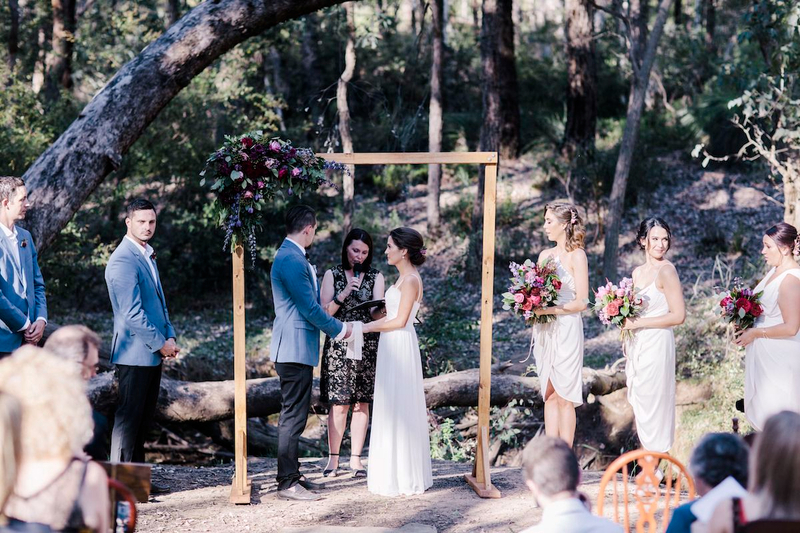 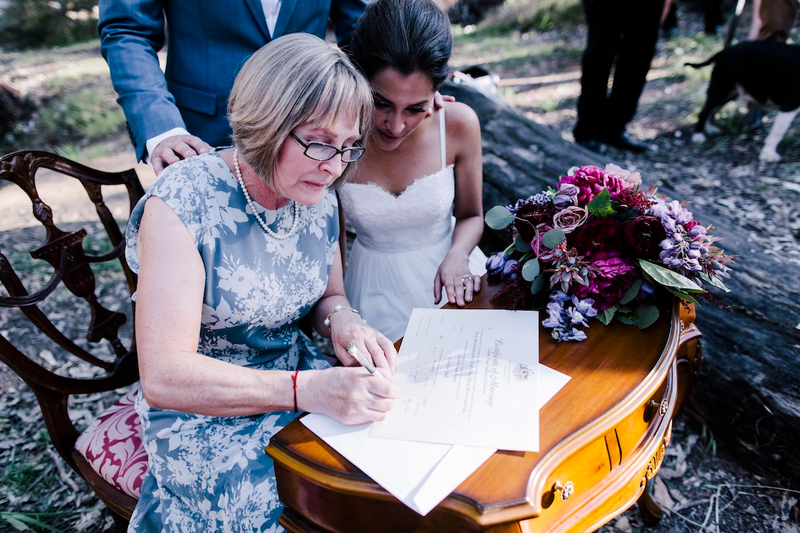 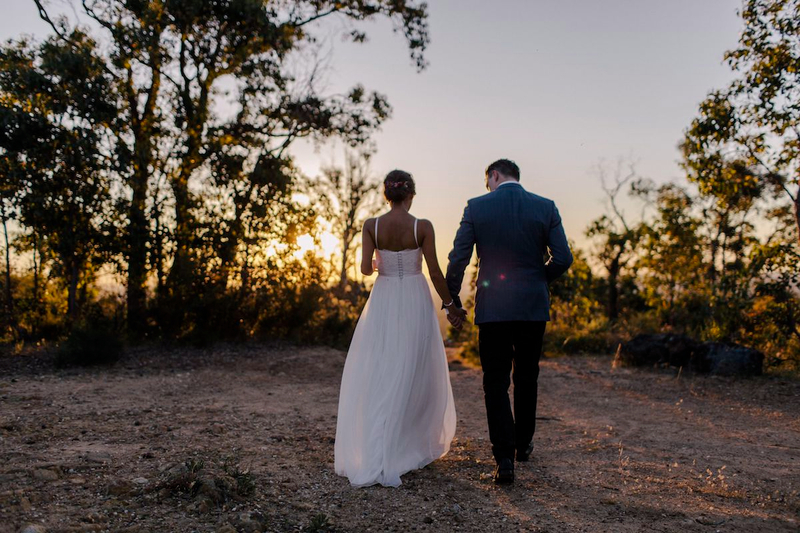 Asha & Jacob wed at a bushland reserve before heading back to their home to party the night away. 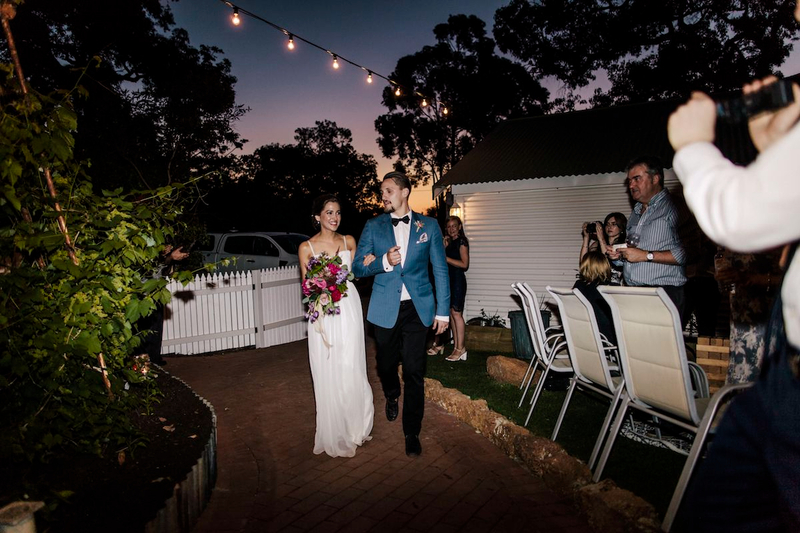 Alan McDonald was there to capture their special day and Signature Floral Design provided the incredible blooms.